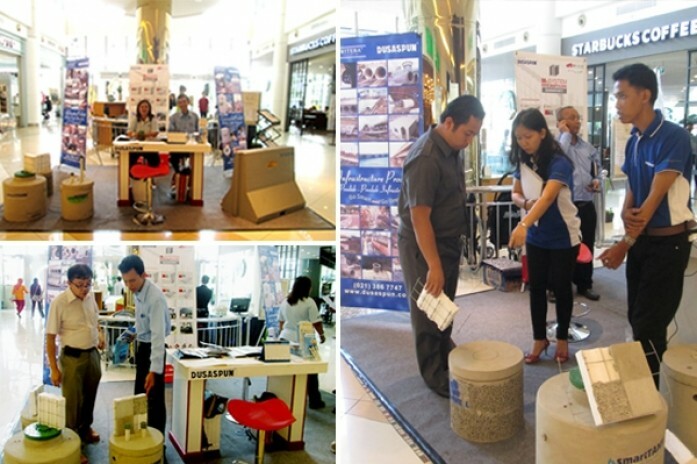 On 17-23 March 2014, Dusaspun joined retails exhibition at Summarecon Mall Serpong. This event was to demonstrate our superior products, primarily environmental which we generally sell in retail. Our environmental products such as smartTANK, smartBIOSEPT, and smartWELL are eco-friendly products.